Hello! 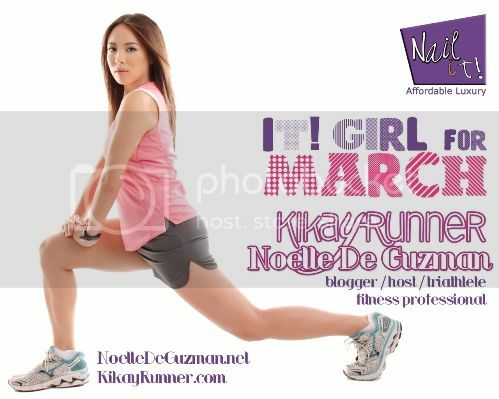 You're on the Noelle De Guzman is It Girl for March at Nail It! Salon page. An It! Girl (or It! Couple, since they featured Heima co-owners Bong and Rossy Rojales in February) serves as a good example, empowers her fans/followers/co-workers with her abilities, functions for a good cause, is multi-hyphenated and juggles different jobs or titles, and is influential in her own way. Past It! Girls include fashion blogger Camille Co, film director Marie Jamora, and international designer Mich Dulce. This March, when you visit Nail It! branches at Alphaland, Pearl Drive, Katipunan, Rockwell Ortigas, Glorietta 3, Greenhills, Loyola Heights, Better Living Bicutan, Festival Mall, SM Valenzuela, and Centris Walk Quezon City, you’ll see some info slides about me on their LCD screens. For more information about Nail It! Salon and their services, follow them on Twitter and Instagram and like them on Facebook, or contact them via 0917-5-NAILIT. 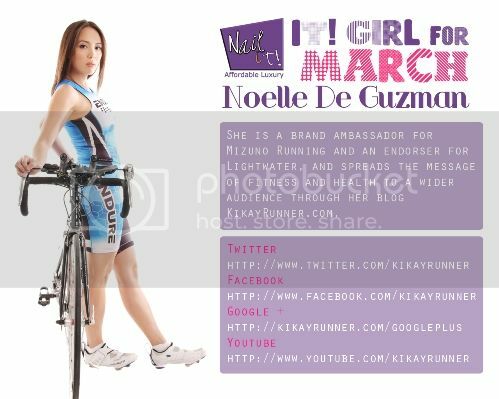 Posted by Noelle De Guzman on Monday, March 4th, 2013 at 1:15 pm and filed under Blog, Projects.